Passengers on UK rail company Chiltern Railways will soon be able to travel without tickets using a service integrating a mobile app with Bluetooth and geolocation services, which will track commuters throughout their journey, give them access through ticket barriers and automatically charge them the best price for the route taken. Arriva UK Trains is piloting the service in collaboration with technology provider SilverRail Technologies on its new route between Oxford Parkway and London Marylebone. “This app-based concept eliminates the need to purchase a ticket, instead using Bluetooth and geolocation tracking to determine journeys taken, charging the best value fare at the end of the day,” says Dave Penney, managing director of Chiltern Railways. The app also offers personalised, real-time travel updates, multi-modal journey options, and provides a history of journeys, prices and how the best value fare has been calculated. 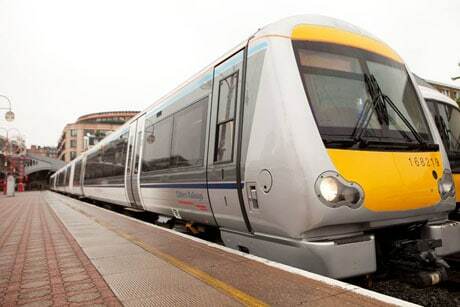 The pilot is due to begin in July 2017, Chiltern Railways told NFC World. The rail company announced its plans to pilot the automatic fare payment system in September 2016.